In Beyond Brain Basics, we mentioned the importance of creating a brain-based work environment. Changing the way things are done can be difficult and time-consuming but we propose a few practical ways to run your business with neuroscience. Stories help us connect with other people. We come up with a way to share our experiences with others. When the brain is activated by a story through emotion, oxytocin is released. This neurotransmitter helps to form connections in the brain that help us build trust and bonding. The release of oxytocin through emotional stories also help us empathize with others. These stories can help teams connect and help employees connect with the company mission. Leaders can use analogies, metaphors, or even classic themes in literature like the hero’s journey to illustrate how the company has evolved, overcome challenges, and become what it is today. Dan Gilbert, the founder of Quicken Loans, has a unique way of doing this. He has created a company culture that is based on engagement. He shares the story of the company through a book, that he wrote and updates yearly, that explains the company’s values, principles, and expectations. He communicates this story by personally leading orientation sessions for all employees. Employees can also have stories about themselves and their work performance. Help them build a better connection with the company by having them tell their story of where they fit in and what motivates them. In response to the importance of stories from the company, employees often offer stories of their own. Many employees personally write to Dan, telling him how a job at Quicken Loans has changed their lives and what it is about the company that has impacted them so significantly. While no employee is perfect, it is important to help the employee create an overall positive story about their work performance. This starts with avoiding blaming and shaming language. It also includes sharing positive statements along with negatives. Most of us have probably had the experience of something in our environment either helping us focus or distracting us from something we were doing. It is important to create a workspace that allows people to focus. Different strategies for improving the space may include cleaning up office clutter, reducing crowding by increasing the space between workstations, providing private spaces for more complex tasks, making comfortable seating and ergonomic office products available, and helping people organize their physical spaces as well as their virtual and electronic spaces. A mind that is made more relaxed by a comfortable, safe, and structured work environment is a more productive mind. When trying to change employee behavior or teach them new skills, fun is an important aspect of the equation. Using games and experiential learning can activate emotions and thoughts. This type of learning can create multiple pathways and increase connections in the brain as it activates the body, the limbic system, and the information processing aspects of the brain. Activating multiple pathways helps people focus and retain information better. In order to ward off the threat signals in the brain, leaders need to be consistent in how they behave and how they create the office environment. Leaders should apply all rules and expectations equally, exhibit coping, and treat employees fairly. They should prepare employees for changes in the company and the physical work environment and provide them with strategies to adapt to the changes. The brain is less likely to stay on high alert when the environment is predictable and safe. 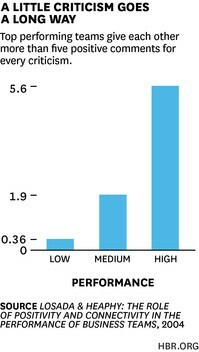 As shown in the graph below, created for the 2016 Employee Job Satisfaction and Engagement Report by The Society for Human Resource Management, respect, trust, and relationship are some of the top factors influencing job satisfaction. In the same report, we see again that feelings of security, safety, and stability are very important factors when looking to create satisfied employees. Structure come from the physical environment, the company culture, and the leaders that express and control both. When all three are valued, satisfaction and engagement improve. Some leaders may be cautious to let their employees speak freely about the company, but employees are probably already talking. Providing them with an open forum where they can raise issues will help improve emotional intelligence, empower them, and provide opportunities to talk about conflict resolution and coping. Employers can create this type of atmosphere by encouraging some simple, yet effective, practices. Download our free eBook on how to design and implement employee engagement activities for your team. Companies can help promote brain health by helping employees have better overall health. Providing healthy snacks, having seminars about health topics, providing gym memberships, and offering smoking cessation programs are all ways to help employees have better physical, mental, and brain health. Many companies are now including exercise in their daily routines. This can be as simple as having a walking meeting or providing employees with standing desks or fitness ball seats. Employees in many companies feel more effective when given the opportunity to take breaks and get some free time to get up and move. In the early 2010s the Welsh Ambulance Service began focusing on using neuroscience to improve company practices. Bringing people together in both teams and as an entire organization promotes bonding and wholeness within the organization. Having a shared experience gives people a sense of belonging to the group. The social brain is activated, oxytocin is released, and employees feel like a part of the group and the group’s mission. Ultimately, they feel more motivated and engaged. Being able to relate and feeling understood are vital to feeling part of the group. Shared experiences do not have to be major events. Often people can feel connected even through the mundane. Some companies schedule outings to a movie, a park, or a sporting event. Some provide game rooms or special luncheons to encourage comradery. Some create small celebrations to bring people together. Hoopla TV finds that as companies grow and expand it is more difficult to meet face-to-face. They use technology to create a shared space in which employers and employees can interact by sending images, videos, news, opportunities, celebrations, and other updates. When teaching employees new skills or giving them tasks, build time in for reflection. The brain handles work and information best when it is in short bursts. For improved retention of knowledge or work performance it is important to give the brain a break from technology or other distractions to allow the pathways in the brain to be reinforced through reflection of what was learned or how the job task was performed. BT Group, a telecommunications company in the UK, have seen improved results with reflection time. The changes in the company were based on ‘learning about the conditions under which the brain makes new connections and how you reinforce those connections’. Helping employees learn and understand the neuroscience principles can help them use them more frequently. Often times people are not willing or able to do something unless they have reasons for why they are doing it. People often do not like change. Even people who don’t mind it probably have to work hard to calm the panic that change can produce in the brain. When trying some of these techniques make sure employees have a choice and know the reasons why these things are important. 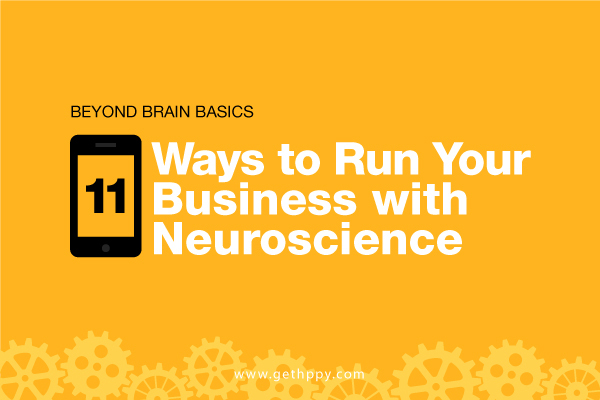 This article is part of our Neuroscience For Business series. View all the articles in the series here. By applying knowledge of the brain and how we work together, Choose Happiness @ Work engages adult learners in a unique and powerful way. Andy has degrees in psychology and mental health and has been working to help people find success and happiness in their professional and personal lives. He finds his own happiness through writing fiction adventures, sitting in the park with a good book, or catching the latest movie or TV show with friends. Is A Mentor An Influencer Or An Agent Of Change? How Can A Manager Truly Inspire A Team?